An interesting thing about German which makes it confusing is that the one’s place is said before the tens: einundzwanzig, which literally would be like “one and twenty”. The numbers in German are written as one word up to one million. Rules for making ordinal numbers. The 2nd and 4th up to the 19th add the ending -te to the cardinal number. From the 20th to the 100th, the 1000th, the 1,000,000th add the ending -ste to the cardinal number. The 1st and 3rd numbers are irregular. The decimal numbers are not quite the same in German and English because a comma is used instead of a point. 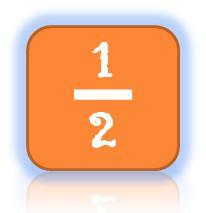 To show that a number is positive/negative, the words plus/minus are put in front of it. The cardinal numbers are not declined with the exception of 1, 2 and 3. Ordinal numbers follow the adjective declension rules. A mistake in number 1001. Other than that, this is really great! Danke schön!